Udaipur city which is set in lush green valley and interspersed with translucent lakes is an amazing place to spend your vacation days. Udaipur, which is also known as blue city or city of lakes, has more natural beauty than most of its neighbour cities. And this place is very well connected by all the transportation routes; railway, road and air from all the major cities of the state and country. 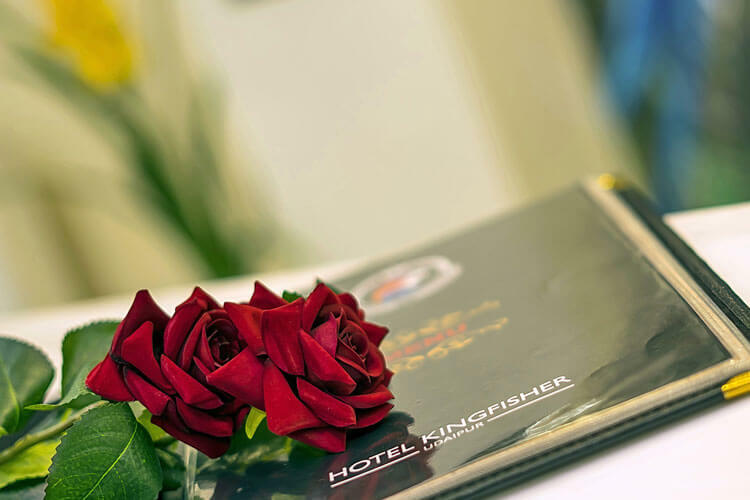 Hotel Kingfisher Udaipur is one of the is best deluxe hotels in Udaipur. It is located on the main transportation road of Udaipur and nearby from bus stand and railway station. It is also having one more attraction point very nearby and that is Marvel water park. You can spend your fun filled day at marvel Water Park and rest peacefully at night at hotel Kingfisher Udaipur. It is an ideal place for comfortable stay with your family or your loved ones. It offers a myriad of hospitality services to spend your best time of vacation. 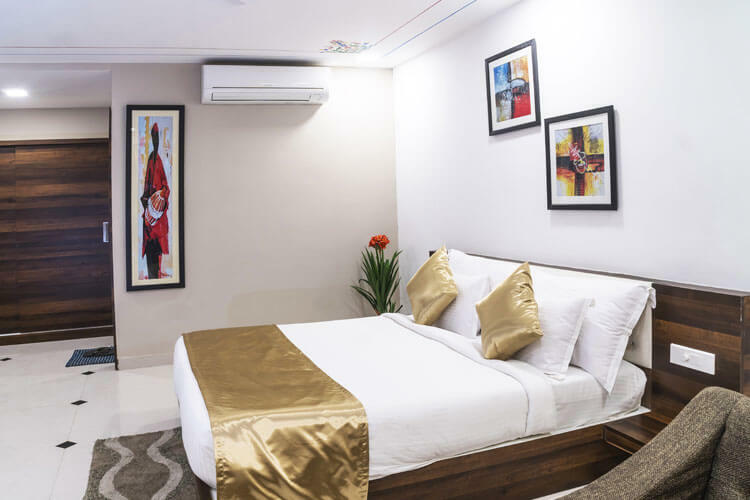 So, If you are planning a visit Udaipur city then, hotel Kingfisher is one of the most prominent option for you to stay at as they also have one of the best Udaipur hotels package. This hotel offers you 17 well furnished and elegantly appointed rooms which are decorated with ultra modern interior and which has all the modern amenities for your comfortable stay. All the rooms are bright, vibrant and lively. They are categorised into deluxe rooms, super deluxe rooms and suit rooms. They also have a kingfisher service apartment which has 2 bedrooms, a hall and a kitchen. It is an ideal place to stay for a family or a group. And thus it is one of the finest family hotels in Udaipur. Hotel Kingfisher Udaipur pampers their guests with ultra modern amenities, luxuries and utmost comfort and provides them all the necessary services like room service, cable and satellite TV, elevator, mini bar in room, travel desk, free parking service, sightseeing arrangements, power back, laundry service, conference hall, service apartments for family stay and many more for your comfortable stay in Udaipur city. Hotel kingfisher’s warm hospitality and all other features described above makes it a one spot choice for the tourists of Udaipur. They also offer fantastic udaipur tour packages for the leisure travellers. You can book for hotel Kingfisher Udaipur online, and experience the amazing trip to Udaipur with your family or your loved ones. It will be the most memorable trip of your life and the most comfortable stay you have ever had in your life.